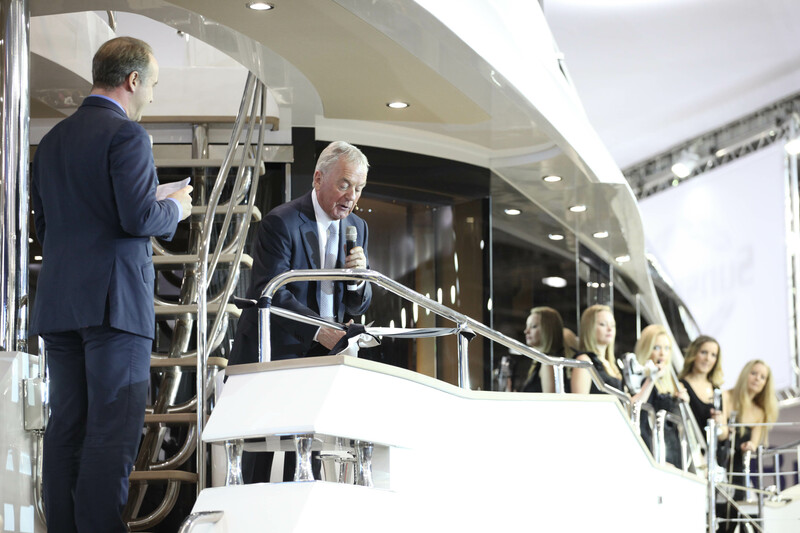 World debut of the New Sunseeker 28m Motor Yacht at 2012 Tullett Prebon London Boat Show – Photo Credit Sunseeker International. A prestigious luxury event, held in London, England featuring beautiful yachts on display, including private yachts, charter yachts, superyachts, motor yachts, sailing yachts and luxury catamarans, in addition to other luxury goods, cars and services. CharterWorld provides the direct opportunity to rent a London yacht charter boat to accommodate you and/or your corporate associates at this important event. Please contact us here at your earliest to ensure you have access to the best luxury yacht charters available. Situated in the middle of the largest financial centre in Europe, and just a short distance from some of the world’s most exclusive residential districts such as Mayfair, Knightsbridge, Chelsea and Kensington, The London Yacht, Jet & Prestige Car Show was created to attract London’s jet set, with many beautiful charter yachts, superyachts, motor yachts, luxury yachts, sailing yachts and yacht tenders, prestigious cars and luxury goods on display. Taking place in April and coinciding with a time when many of London’s wealthiest international residents and visitors are ‘in town’, just after the start of the ‘Flat’ racing season, this event is also perfectly timed for the summer season, when many people book up their summer yacht charters and purchase new yachts or cars for the fine weather ahead. 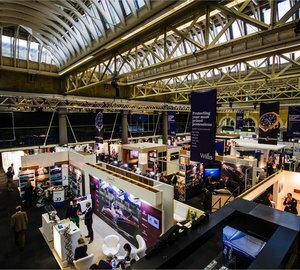 In addition to private jet manufacturers, jet charter agents, luxury car manufacturers and distributors and a whole host of luxury goods and service companies, numerous firms form the yachting industry will also be exhibiting at the London Yacht, Jet and Prestige car show this year, including yacht builders, yacht designers, suppliers as well as yacht charter brokers. With a Design, Fine Art, Watch and Gift Gallery; a three day Travel & Summer Fashion Show featuring several of the world’s top designer brands; a Design and Product Showcase; an exclusive VIP lounge, an exclusive in-water show at St. Katharine Docks, and a number of Thames-side Champagne Bars, The London Yacht, Jet & Prestige Car Show is a fantastic event to be enjoyed, where friends and clients can be entertained and contacts can be made. With a Design, Fine Art, Watch and Luxury Gifts Gallery, this exclusive event will become even more attractive to connoisseurs of the finer things in life. Taking over the beautiful Mezzanine Gallery which overlooks the main floor of the event, this level even has its own Thames-Side Champagne Bar, where guests can socialise and enjoy themselves. 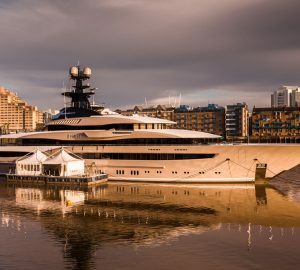 Then at the Show's second venue - St. Katherine's Dock - a great selection of luxury yachts, motor yachts, sailing yachts, superyachts and prestige cars will be on display at London's most exclusive marina.